A super hot and humid day in summer.... shooting on the coast hours out of Sydney.... and I'm heavily pregnant .. what could go wrong?! Our sunset shoot took a turn (as the weather does quite a lot in Sydney) but instead we were able to capture some quite dramatic images as the wind picked up and a storm closed in.. as you may see in my work, I love working with the elements (messy hair is my friend) but the wonderful Cara from Trille Floral had a hard time battling the elements to move furniture down to the beach and keep everything on the table! It was one of her first shoots here in Sydney after she had moved from Canada and what an introduction! I hope that this gives future brides the confidence to know that even if you don't get the weather you hope for on your wedding day the images can still be amazing.. you just have to give in and laugh! Had to share with you today this absolutely spectacular floral crown Lina from Chanele Rose Flowers & Styling created for me to complete this gorgeous maternity session I shot at the end of last year. Isn't she a creative genius! 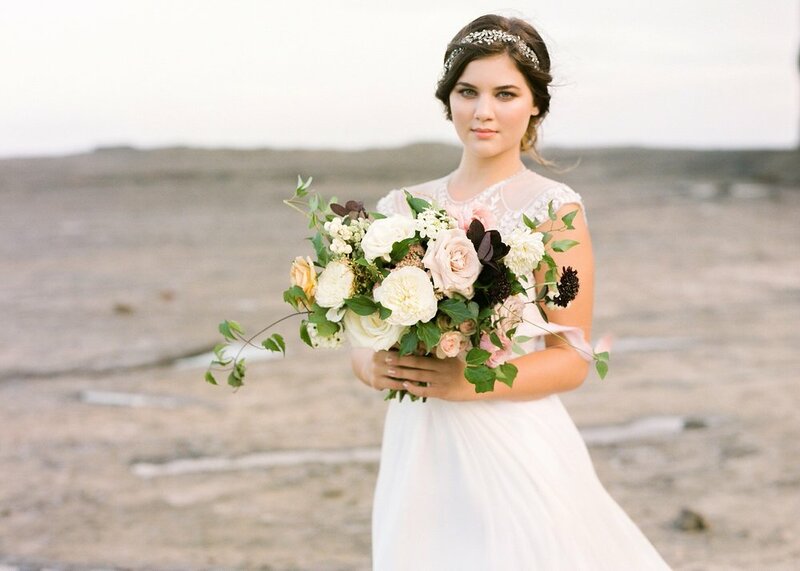 We've had the pleasure of working together a few times and I have seen her whip up some beautiful bouquets on a shoot at the last minute and her wedding styling work is amazing. 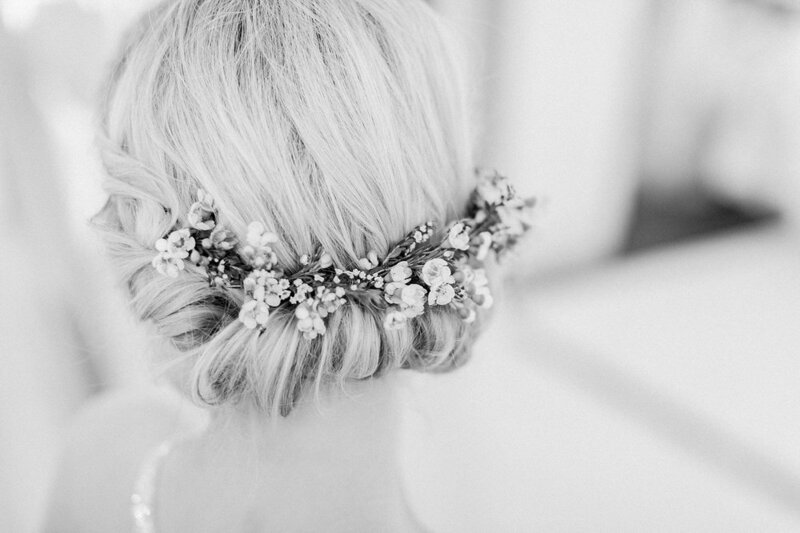 You would be a very lucky bride if you were able to snap her up for your wedding flowers - she is booking out fast for 2015! Right now it seems to be baby season and we have been seeing a lot more maternity/ family sessions come through our doors. We are also filling up fast for the next few months so if you are interested in booking a session with us please contact us as soon as possible! Not only a beautiful memory for the future but a family session can make a great gift for other family members - grandparents wedding anniversaries, sending prints to family overseas or lovely prints for your own family photo wall. As these sessions run at a slower pace we focus on a fine art film style with our maternity and family sessions so they are perfect artwork for your wall. During the long summer hours we could even fit in a session after work for busy families - as the sun lowers the light is so beautiful and we can capture some really beautiful moments. We promise the sessions are quite painless and only take around 1-2 hours maximum - you'll be sitting with the photos in your hand before you know it! Super excited to have this AMAZING light filled shoot we worked on last year at Watson's Bay Hotel published on Style Me Pretty today! We had a fantastic team of creatives who worked hard to make something truly special! I'm so excited to finally be able to release the images from our incredible shoots for Roz la Kelin's 2015 Collection! 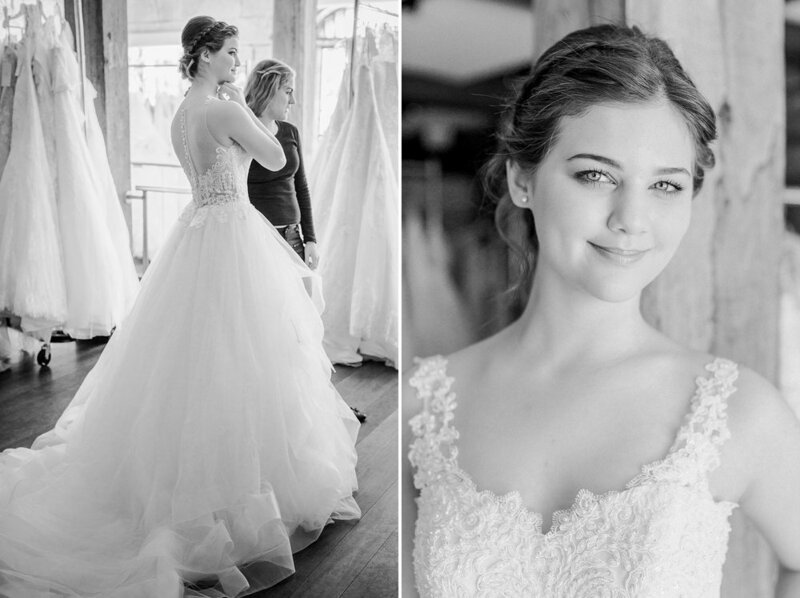 If you are in Australia you will be seeing these images in Bride to Be Magazine and Modern Wedding Magazine this month ... In the USA you might have seen them larger than life at the Bridal Shows around the country and in New York. It was such a pleasure to collaborate with Roz on these images, we all spent a lot of time considering the hair, makeup, location and floral designs and when they all came together we were blown away at the result! Many thanks to Susan from Make up Mode, Paula from Fabulous Hair up and Lina from Chanele Rose Flowers for helping us create such dynamic images and bringing together our vision, also Centennial Parklands and Sydney Polo Club for the beautiful location. A few months ago I was very happy to be asked by Modern Wedding Magazine to capture some images of Philip Carr's amazing styling for this beautiful wedding held at Quay Restaurant for their Styling Handbook. Watching him work behind the scenes like a well oiled machine, he combined the creative talents of Saskia Havekes from Grandiflora to create one of the most amazing floral displays I have seen with a cornucopia of cheese and Italian food, sweets and chocolates ... it was absolute torture trying to resist a bite! Seeing the sun set over Sydney and the lights twinkling as they came on around Sydney Harbour set the mood for one beautiful wedding reception. What an amazing experience it was photographing Diamond and Glamour Plus ranges for Roz la Kelin's 2015 Lookbook. Working with such talented artists including Chanele Rose Flowers, Make up Mode and The Bridal Hair Co was really something special. I couldn't wait to share a sneak peak today as Roz la Kelin are in New York for Bridal Fashion Week preparing to launch their 2015 collection right now. I can tell you i've seen it up close and the whole Diamond and Glamour Plus ranges are simply stunning. The most intricate beadwork, lovely lace, gorgeous sleeves, beautiful skirts and (my favourite) there are so many incredible backs to these dresses. I can't wait to share the rest of my Roz la Kelin photographs with you soon. Just a few pics of the time I spent with my friend Aaron Favaloro in between filming some video for Fashion Asia TV. For something different I took along my Contax film camera and shot off a roll of Ilford Black and White film - I love this look when capturing our Love Note Creatives! If you haven't seen Aaron's work before he loves to sketch fashion icons and blog stars such as Margaret Zhang and you can see the rest of his work on Instagram. It was a wonderful experience to be involved in this shoot with one of my favourite creatives, Make-up Mode and the graduates of their Advanced Fashion Course. The Creatives : Elizabeth Mizyed, Shelley Lia, Christina Pirrello and Rebecca Suarez - Camacho. Didn't they come up with some great looks? And the models were just wonderful, luckily it was still warm enough in Sydney autumn to jump in the pool! Many thanks to Sue Markovic and Bec DeMurtas for being such lovely assistants and Eberhardt Jewellery for supplying us with the stunning pieces you see here. If you are thinking about studying the artistry of makeup application have a look at Make-up Mode's classes, there are several options available and Sue is an amazing and generous teacher. I love working with her and her students as they make my photo processing life so simple. The results speak for themselves!